Day’s before the close of Black History month, a bit of Black history was made atop the ranks of the California Highway Patrol. Governor Jerry Brown swore in Warren Stanley, a CHP officer of over three decades, as the California law enforcement agency’s commissioner during a Feb. 26 ceremony at the State Capitol in Sacramento. 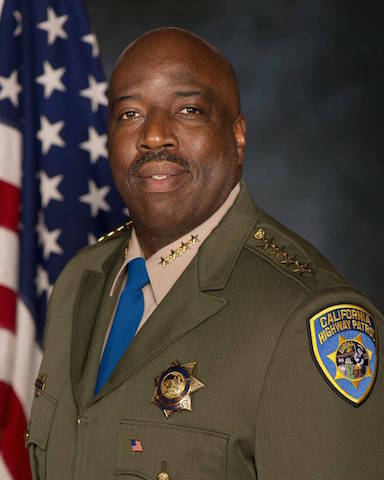 Stanley is the first African American ever to lead the CHP. The man of law said he is very humbled to be appointed to his new post by Brown. 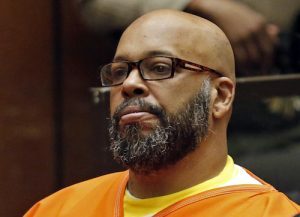 “I’m going to do everything I can everyday to make the state of California a little bit safer and a great place to live,” Stanley said. The new CHP commissioner has held every rank in the department including field training officer, lieutenant of the Border Division Investigative Services Unit, commander of the CHP Academy, and deputy commissioner. Employed by the CHP since 1982, Stanley now leads the largest state law enforcement agency in the nation composed of over 11,000 employees. Stanley will earn nearly $260,000 a year in his new role. Raised in Central Valley’s Merced County Dos Palos, the commissioner always knew he wanted to be in law enforcement. Stanley graduated from the CHP academy when he was 20 and worked his way up the ranks. The Sacramento resident graduated from the FBI’s National Executive Institute, and earned a bachelor’s degree in Criminal Justice from California State University, Los Angeles. Stanley was appointed to the rank of Assistant Commissioner, Staff in 2010 and two years later earned the rank of Assistant Commissioner, Field – making him one of few to hold both positions within the CHP. Brown made Stanley acting CHP Commissioner in 2017, taking the reins from former Commissioner Joe Farrow. On Feb. 9 Brown announced Stanley’s appointment as Commissioner of the CHP. Acting Transportation Agency Secretary Brian Annis said Stanley would excel in his position. “CHP Commissioner Stanley has served the public for more than 35 years with the California Highway Patrol, excelling at every role from patrol officer to deputy commissioner where he oversaw the day-to-day operations of the CHP,” Annis said. The 56-year-old is a proud public servant who is determined to create trust among the public and CHP by breaking race and ethnic lines. Stanley and his team are actively involved in a variety of communities, including the African American community. In 2015, Assembly Bill 953 was enacted which prohibits a peace officer from engaging in racial profiling and requires training to prescribe patterns, practices, and protocols that prevent racial profiling. 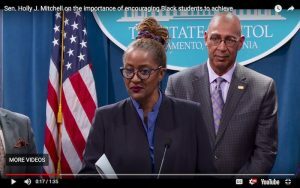 Existing law requires the Legislative Analyst’s Office to conduct a study of the data that is voluntarily collected by jurisdictions that have instituted a program of data collection with regard to racial profiling. AB 953 requires the Racial and Identity Profiling Advisory Board produce a report each year on past and current statuses of racial and identity profiling with policy recommendations for eliminating it. Stanley is a RIPA board member and will be implementing this process into the CHP in July.